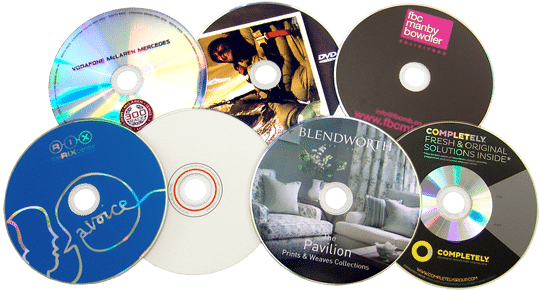 We can provide you with CD-R discs either with or without contents (that you can then burn yourself) but with a full colour direct-to-disc print using either offset litho or silk screen printing. This is the same type of printing as shop-bought CD albums for the very best print quality and durability – just fill in our sample request form below to see some examples. The discs are typically supplied bulk wrapped, although if we are adding the contents then we can also supply them in clear plastic wallets as per the third pricing column below. The minimum order quantity due to the printing processes used is 100 units of a single design, but the prices quickly come down for larger quantities.